Traditional Morris dancing in the Forest of Dean, England. We’re just coming to the end of our winter practices, and today, Easter Monday marks the 50TH ANNIVERSARY of the Side dancing out for the very first time! Have a look at our ‘Latest news’ page for details of the Easter Tour. May Day (May 1st) will see us joined by Lassington Oak and other Sides dancing to bring in the Summer at 5.20a.m. on the top of May Hill. Thereafter we’ll be dancing out in accordance with our (soon to be published) 2019 calendar. Hope to see you at one of our dance spots. We’re a mixed Side of all ages and are always keen to welcome new dancers whether complete novices or experienced. Look here for more details. THE FOREST OF DEAN MORRIS. 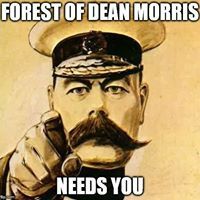 As it says on the banner above, we are the Forest of Dean Morris. We are based in the Forest of Dean, that wonderful triangle of ancient forest between the rivers Severn and Wye, in Gloucestershire, England. We are performers of that most English of traditions – Morris Dancing, which has been performed since at least the 1400′s. The buttons above will provide you with all you need to know about on what we do, why we do it, and where we do it. 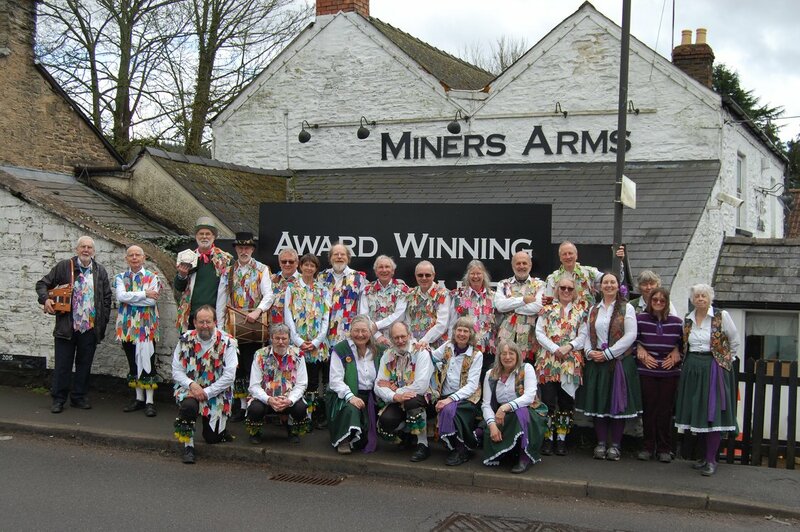 Our programme for dancing out runs roughly from Easter until the end of September, but you are most welcome to come and meet us as we practice weekly for 2019 at The Miners Arms in Whitecroft (GL14 4PE). We dance for enjoyment and to keep the tradition alive. We have danced at weddings, festivals, birthdays, fetes, fayres, and anniversary events all over the UK. We have also danced in France, Germany, and Belgium. An unashamed plug for Wye Valley Brewery! If you’d like to see us in action here are links to a couple of YouTube videos. 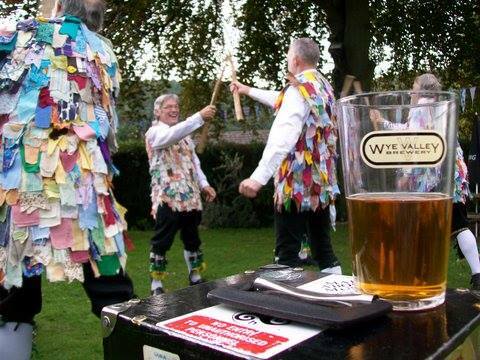 First up is the Upton-on-Severn Stick dance from, unsurprisingly, Upton-on-Severn! It’s being danced quite a long way downstream from Upton at Newnham-on-Severn. Following on from that is a video of us performing ‘Bluebells of Scotland’ from the village of Adderbury in Oxfordshire.